I am not sure when Tommy Alter became Tom Alter, but it happened about the same time I went from Stevie to Steve–around the 9th grade. There were just over 40 kids in my graduating class, about half girls, half boys. When you spend your entire life with the same 40 kids you get to know them pretty well. For example, everyone knew full well I was kind enough to help at least half of my class be above average academically. We all knew who was athletically gifted (Jantz), intellectually gifted (Anne Hilliard), socially gifted (Conrad), and so on. Furloughs were few and far between in those years, perhaps every five or six years. So I graduated with classmates I had gone to school with for something like ten or eleven years. Tom was unique. No one knew the servants around the school as well as he did. Chandar and Surat, chaprasis (go-fers) in the high school office were pals. He knew the jamidars (custodial staff) and the bearers who worked in the dining room. He knew everyone in the school and everyone knew Tom. Tom was a free spirit. Tom was athletically, intellectually and socially gifted, collectively, beyond anyone else in our class, or the school for that matter. He had a great sense of humor, generous to a fault, hopeless with money, and yet could be serious and sensitive. Take sports. The sports we played (and he played all of them) were soccer, basketball, hockey and volleyball, tennis, swimming, and track and field. We were an American Missionary Boarding School. This was Woodstock School. Cricket simply was not played much. Until Tom came along. Tom was a first class cricket fanatic. While American kids were memorizing baseball players and their scores (I am not talking about us, we didn’t play baseball and we didn’t give two hoots about the game, except for Tom who followed the Yankees, and still does), Tom knew all the players of all the major Cricket teams in the world going all the way back a hundred years and could recite test matches and their scores going back decades. I am telling you he was a sports nut. That and tennis. When the Davis Cup would roll around or when there was a particular Cricket test match going on you could see Tom with a small short wave radio pressed to his ear before school started, during recess, during lunch and after school (this was when small transistor radios were ultra-new). Forget trying to talk to him, he was in the zone. He would find a corner and hunch over slightly, trying to find the best spot and best position for optimum reception. Every now and then there would be a yelp, Tom would glance up wide-eyed and whisper loudly something like, “141 overs, 10 for 472.” As if that meant something to us. Or if it was tennis, “Love forty, Newcombe, match point.” But his passion for the game of cricket was infectious and on Sunday afternoons he would organize matches on the pitch outside Hostel, the big boys dorm. Tom’s sensitive side came out in his poetry. This was free verse and everyone, teachers especially, thought this stuff was top drawer. I had to read it several times to get the point (which, of course, I would never admit to at the time, no need to appear less astute than I actually was). To me it looked like you could take those free verse poems, and string them into sentences to form a paragraph and you would have the start of a good story. I was never sure why it was considered poetry. But Tom was the best. And for all his happy-go-lucky ways he must have absorbed something because off to Yale he went. We were all indelibly marked by India, Tom a whole lot more so than the rest of us it turned out. After less than two years at Yale, Tom, it was clear, was hearing the beat of another drum and it was a tabala. Back to India he went. The Presbyterian mission his folks were with had a school up in Jagadari, Haryana, and he went to teach there for $50 a month. He loved it. He taught there for six months. During that time he picked up Punjabi and honed his Hindi. In the early 70’s TV was not common in India and so most people went to the movies, often several times a week. Tom became a Bollywood aficionado and soon (you recall his focus on cricket, right?) he knew all the actors and actresses, and knew all the themes and plots of these masala movies (at that time there was only one genre, and movies were very predictable, every movie included song and dance, good-guy bad-guy, family conflict, a religious scene, a little comedy and so on). The movies became his new passion. Tom’s uncle, Mr. Bob Alter, was at that time the principal at Woodstock. He created a new position, Social Coordinator, and persuaded Tom to come and take it. Tom, ever ebullient, went. Several years later Tom noticed a small classified ad in the newspaper informing the public that the prestigious Film and Television Institute of India was going to hold auditions in Delhi for two slots for the coming year. This specialized school in Poona was the major springboard into the Indian film industry (not just acting, but also aspects of the movie industry that occurs behind the camera). In a moment of optimism he sent off for an application. When it arrived he filled it out (all of this in Hindi, of course). He was notified sometime later where to come for the audition and what was expected of him–a short dramatic piece of his own composition followed by an interview. On the appointed date he drove his motorbike to Delhi and showed up at the audition hall. He about turned around to go home right then and there. Crowded together, were 700 or 800 hopefulls ready to audition for those two slots. The fellows had pointy shoes and silk scarves, affecting their role of a future movie star a bit prematurely. But what the heck. He had prepared. He had come a long way. He would do the audition and go home. He would give it his best shot, and if this didn’t work out, he really did enjoy his position at Woodstock. More confusion. This was most unexpected. Somehow it just never occurred to these gents that there was even a remote possibility he could speak the language. Bewildered, they asked him to proceed. The little drama that Tom had composed consisted of three parts and he played all three parts himself–an American hippie, and an educated Indian, and a third role, an uneducated local chap. Utilizing languages, accents and gestures fitting to each who were riding in a berth together on a train. The hippie, it turned out was not what the others expected, but actually a doctor. But Tom never got to finish. It was manifestly evident that Tom was not who they expected. The juxtaposition of his color (non-Indian) and his fluency in different Indian languages and accents was simply too stunning. To his dismay, he could tell that several on the committee were snickering. The snickering soon turned to outright belly laughs and he had to stop. They were laughing so hard they could hardly let him know that he was done and could go. Tom was now the one bewildered. He had not even finished the little drama and they had not conducted the interview yet. He rode his motorbike back to Woodstock. He was pretty disappointed. A couple of weeks later he was handed a letter. It was from the Film and Television Institute. He had been accepted. It turned out the men who he thought were laughing at him were actually laughing at themselves. They were so startled by his fluency, and because of the quality of his little drama there was no reason to go further. The only human response in a situation like that was laughter. So they laughed. And now you know why Tom is known throughout the Hindi-speaking world, far and wide–he is a Hindi film star. When we lived in Kenya (where there is a sizeable Indian community) I discovered he was well known. 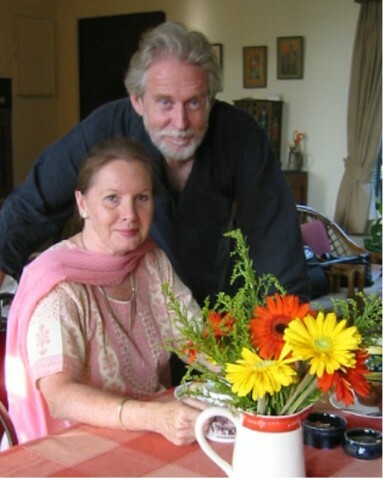 When I go to rent or buy an Indian film here in Dallas (at an Indian food store where we get our spices for Indian food) they know Tom Alter, the Bollywood film actor. Tom is an Indian citizen now. He married another classmate of ours who had gone back to Woodstock to teach, Carol Evans. They have two children and live in Bombay. On top of the movies he does every year (and the Indian public has come to realize that Tom’s voice is not dubbed, an early misconception) he writes a fortnightly column on sports for The Sports Illustrated of India. And these days he increasingly does TV dramas and soaps. But he loves it most when he is called to the All India Radio and Television booth to provide color for cricket test matches. In a land of cricket fanatics Tom is recognized as an expert. And now 500,000,001 know Tom.